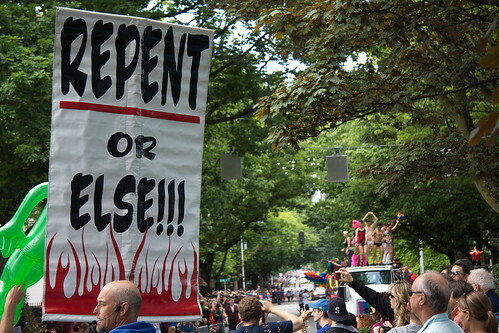 Repent, a photo by The Bacher Family on Flickr. I don't think this image needs much of an explanation. As a photographer, I was drawn to the ironic juxtaposition of the banner and the parade participants. So far as I could tell, everyone was ignoring this guy completely.